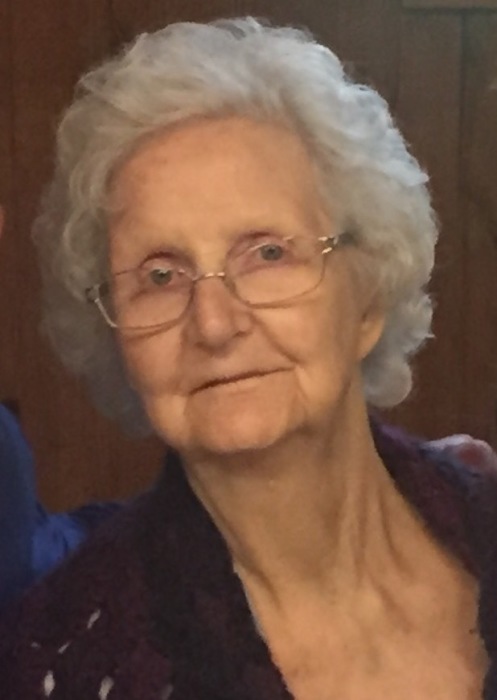 Hazel Mae Henson Francis, age 91 of Forest City died Sunday, June 3, 2018 at Hospice House of Forest City. Hazel was born December 22, 1926 in Rutherford County and was a daughter of the late Jack and Sarah Dyer Henson. She was a homemaker and a member of Florence Baptist Church. Hazel was a loving and caring mother, grandmother, and great-grandmother. In addition to her parents, she was preceded in death by her husband, Tommy Francis, her son-in-law, Robert Teague, brothers, Bobby Henson, Junior Henson, and sister, Martha Shew. (Keltcie), great-grandchildren, Makenna Teague, Peyton Teague, Savana Jenkins, and Cole Jenkins as well as a host of extended family and friends. Funeral services will be held at 4 o'clock Thursday in the Florence Baptist Church with Reverend Dr. Bobby Gantt officiating. Interment will follow in the Goode's Creek Baptist Church Cemetery. The family will receive friends from 6 until 8:30 on Wednesday at The Padgett and King Mortuary. Flowers are appreciated or memorials may be made to Florence Baptist Church, 201 S. Broadway Street, Forest City, North Carolina 28043 or Hospice of The Carolina Foothills, Post Office Box 336, Forest City, North Carolina 28043.